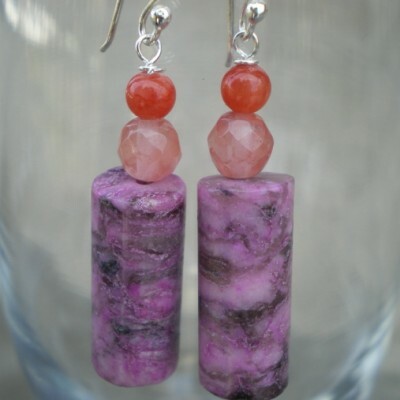 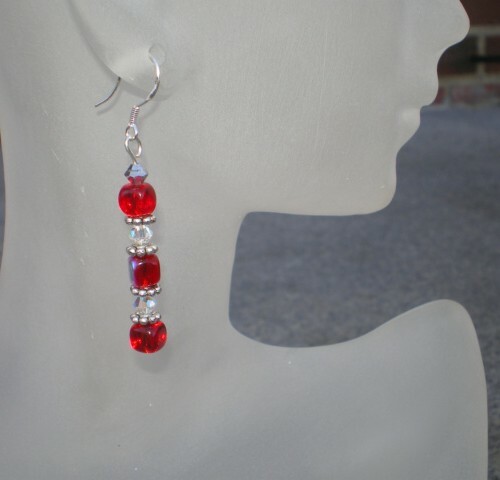 2″ Long earrings , red glass cube beads with AB finish on one side. 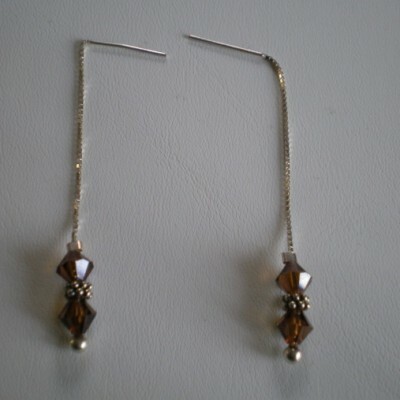 Swarovski crystals and silver flower spacers in between , sterling silver earrings. 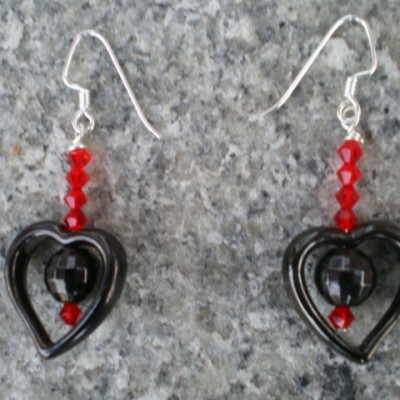 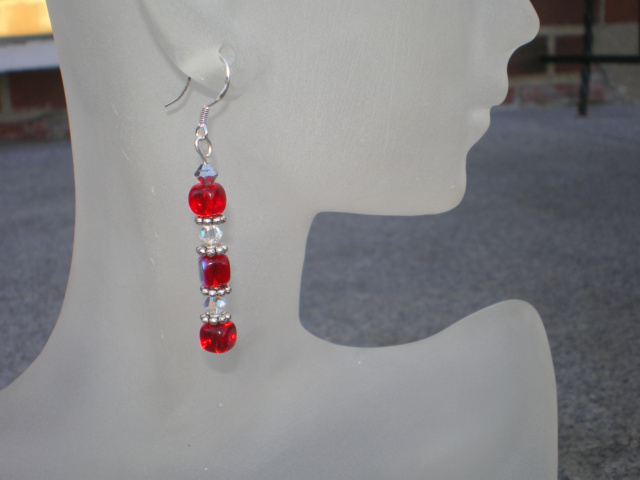 Be the first to review “Red Cube And Swarovski Crystal Earrings” Click here to cancel reply.